Students at the Atlanta Gifted Academy participate in a small group experiment with metamorphic, igneous and volcanic rocks. Claire Anderson’s son, Caleb, started reading at 8 months. By 18 months he was in the first grade. Realizing that Caleb was gifted, Anderson, who lives in Metro Atlanta, was determined to ensure that he would have the best resources available so that he would remain intellectually stimulated and challenged. And so she went on a search for those resources for him, but she found that nothing suited her child’s educational and social needs. She recalls people being shocked that Caleb was a black boy and gifted. She notes how one psychologist told her to stop teaching him, and eventually other children would catch up. She and her husband, desperate to find something for their son, tried several schools—some private, some public—only to discover that most schools did not have adequate resources or simply did not find it financially beneficial to have a gifted program. Well, you know what they say: If you want something done right, do it yourself. That’s exactly what Anderson, who has a master's degree in education and had previously launched a program to teach children to read before the age of 3, did. In 2012 she founded the Atlanta Gifted Academy in Marietta, Ga., with the intention of revolutionizing education for gifted children. Right now the AGA’s student body—which includes Caleb—is majority African American, a group of children who often have to deal with extra scrutiny and poorly concealed racial disparities, even within their very places of learning. "Having a school like this that appropriately challenges and creates opportunities for gifted students of color is essential and timely. Black families, in particular, raising gifted children nationwide are disenfranchised from traditional gifted-education programs and lack equitable access to programs like the one provided here,” Joy Lawson Davis, a board member with the National Association for Gifted Children, said of the AGA. “This school has the potential to serve as an exemplary model for the nation. The founders are applauded for their initiative and perseverance in developing this service for Atlanta-area families raising gifted and high-potential students." Teachers often expect less of black and brown students. Black students are nearly four times as likely as their white counterparts to be suspended. Even the United Nations published a scathing report saying that it was “extremely concerned” about the quality of life that African Americans face, starting with the school system. By extension, black children are often not thought of as gifted or tested for giftedness. And a lot of gifted children, Anderson notes, are often mislabeled because of the tendency of gifted individuals to exhibit behaviors similar to those of individuals with special needs. They often act out and are disruptive because they are bored and frustrated. That is why Anderson is such a huge proponent of universal testing. 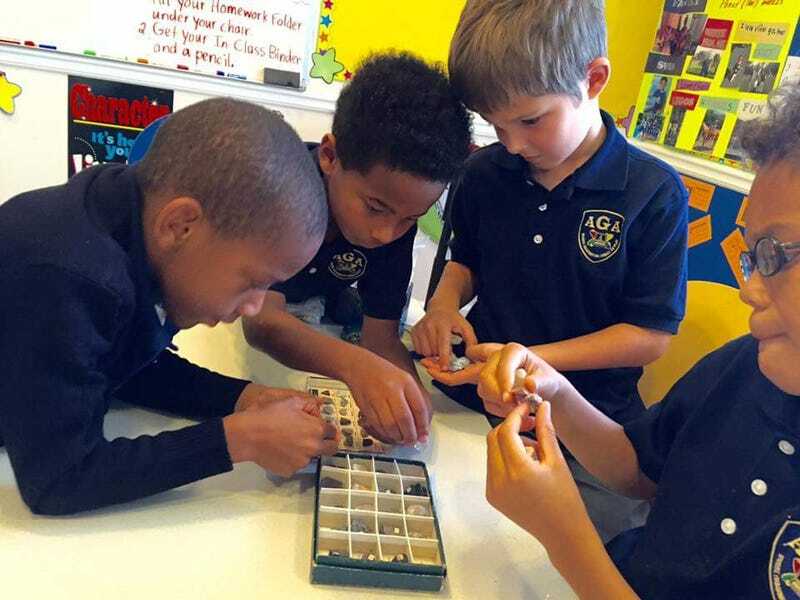 The AGA, which caters to pre-K students and continues through the eighth grade, has developed a one-of-a-kind curriculum and offers a “personalized learning plan” for every student according to his or her interests, abilities and strengths. For example, at the school an 8-year-old could be taking trigonometry but still be at the third-grade level in language arts. Students are taught STEM (science, technology, engineering and mathematics) subjects, learn Spanish and Mandarin, and have access to music lessons and other services not available in traditional schools. Many parents, Anderson says, see the school as a godsend. Some parents drive 45 minutes, sometimes over an hour, just to bring their child to the school—a place where they can be themselves and not have to worry about proving themselves in any way. “At school, their curiosity is never satisfied. They are encouraged to ask questions and they are encouraged to be who they are. Also, the personalized learning plans help them to progress so quickly,” another parent, Koel Roy, said.